I take a quick break from studying and packing to write one final time from my new home in Spain. This is it! The bag is almost packed and the number of days left is withering. This week has already been such a whirlwind of emotions and thoughts and I don’t even hop on the plane until Friday morning. Excited to get home? Yes. Ready to say goodbye? Absolutely not. Ready to be back at Hope College? Of course. Excited for the semester to be over? Not sure…. Most of all, I think I’m sad that the experience as a whole is over. 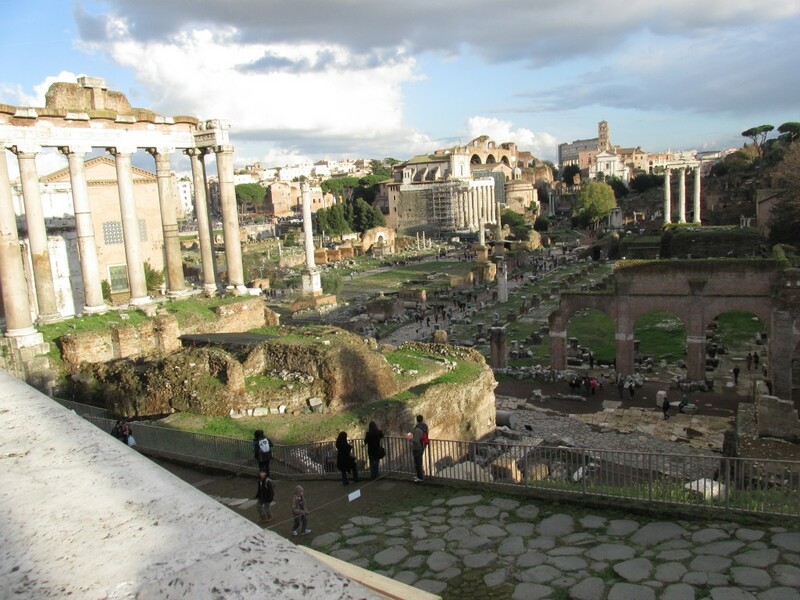 Studying abroad has been something I’ve looked forward to for what seems like years! It’s always been something I’ve wanted to do. And now that these four months are over… so is the whole thing. The reality of my life is that I will mostly likely never have the chance or time to do something similar to this, again. But wow, am I glad that I have been fortunate enough to do so. While yes I get to go home to the things that are oh-so familiar, the school that I love, and my wonderful family and friends… I have to leave behind the things that have become oh-so familiar, the program that has taken such great care of me, and my new family and friends. Crazy. The rest of my week looks a lot like it has these past few days. Exams on Wednesday, more packing, and last hours with friends before we head home to various places around the country. And more packing. And more goodbyes. It’s been better than I could have ever imagined. 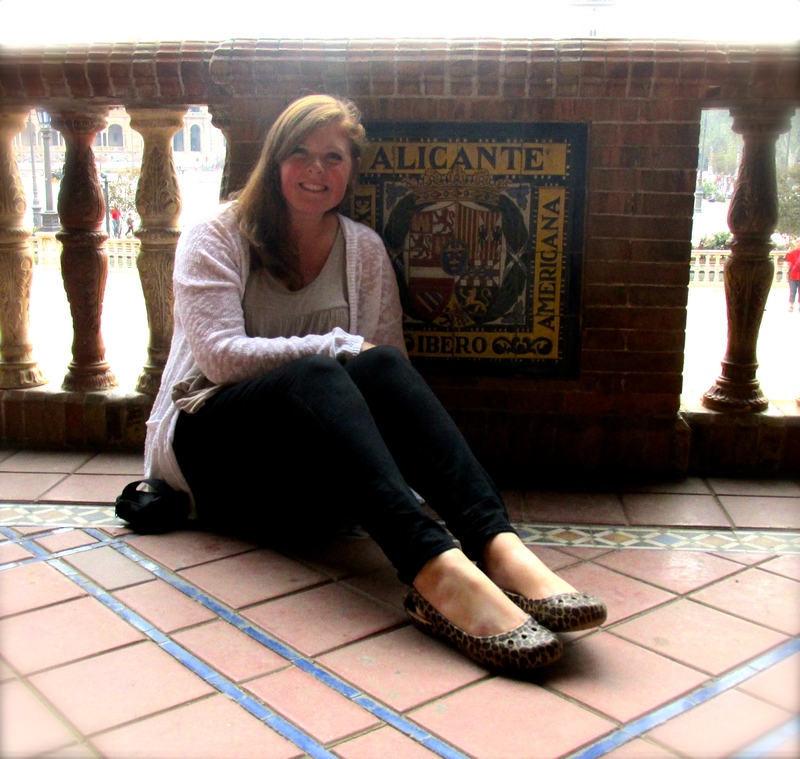 So I have one last Spanish city adventure to share with you. This one again, provided and hosted by my CIEE program. The last trip they organized was Valencia, this time Seville! The bus ride was quite a bit longer (8 hours compared to 2), and with lots to do in the city, we spent two nights there. Seville was absolutely gorgeous! Just after arriving, about half of us students went down to the river for a boat cruise and we just so happened to be there for sunset. The beauty of the sunset and city’s monumental bridges and buildings was unexplainable. From there we went as a whole group (about 40 of us) to a traditional Flamenco show. It was so cool to experience a more traditional version of the music and dance, rather than the oh-so-commonly revolutionized tourist versions. The way those dancers move their feet is ridiculous! If you have absolutely no idea what I’m talking about, consider looking it up. It’s quite amazing. Our second day there we toured the city. 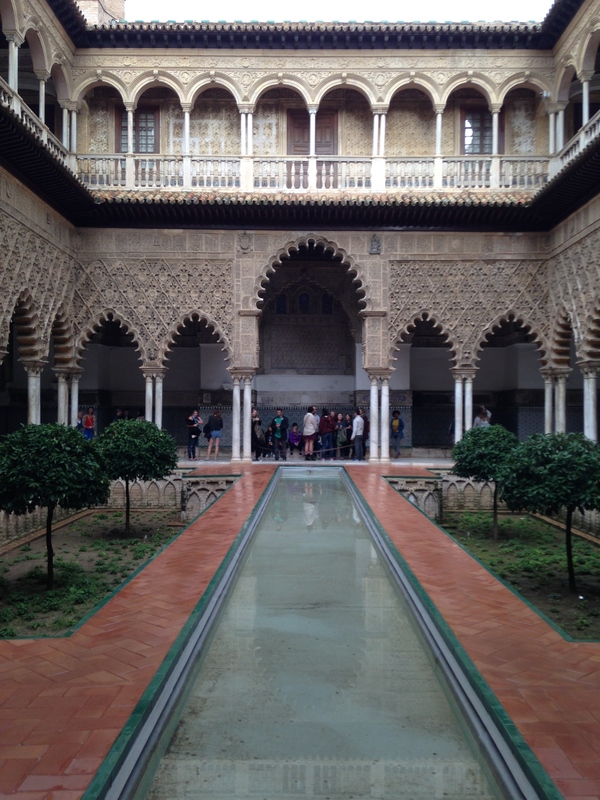 CIEE has another program based in Seville, so two of the very kind professors from Seville’s CIEE campus joined us and took us to one of the largest Cathedrals in the world where we climbed the “Giralda,” and to the Palace of Alcazar, a royal palace still used today. With as much touring as I have done these past three months, I’d started to say things like, “It’s all starting to look the same,” but I could not even form those words in Seville. Something about the city was just so much different. 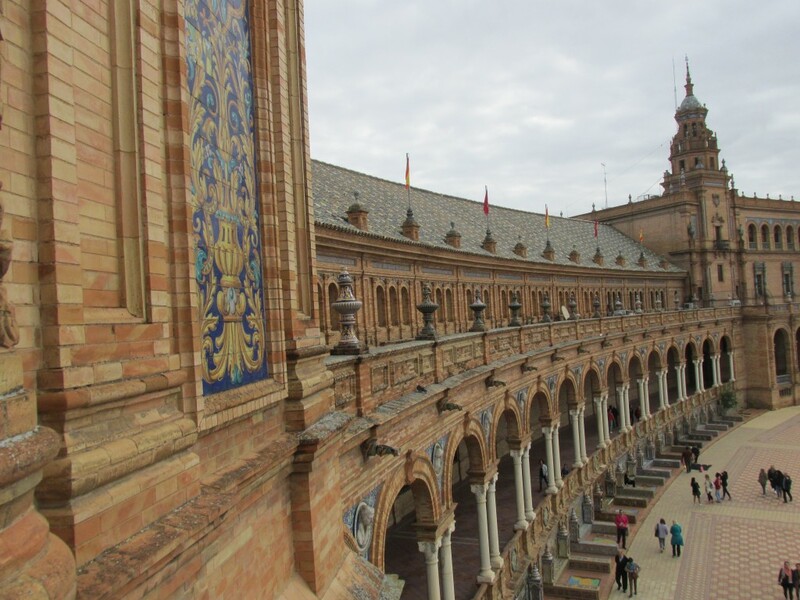 Our final, shortened, day we visited the Plaza de España. A large plaza built in 1928 for the 1929 World Exposition, held in Sevilla. 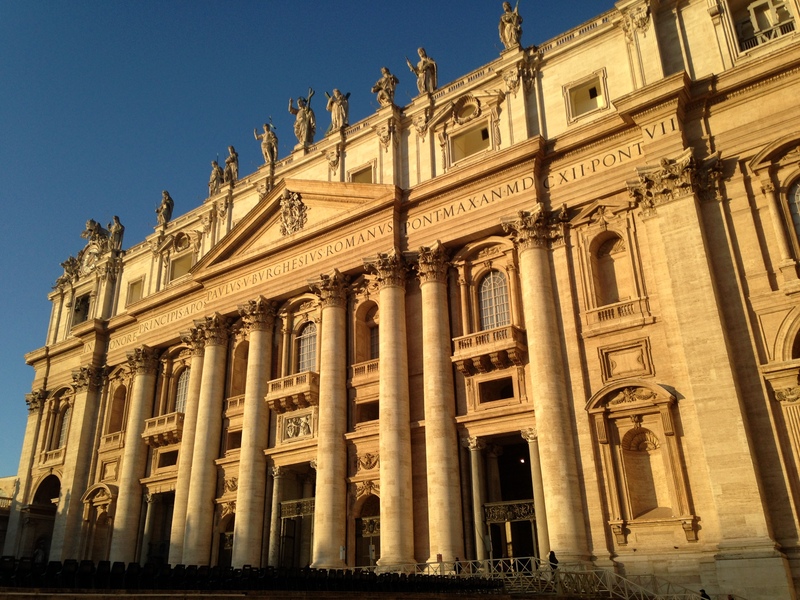 The building is stunningly beautiful and today houses a museum and various city hall and government offices. After that quick visit we hoped back on the bus and made an 8 hour trip back to Alicante. 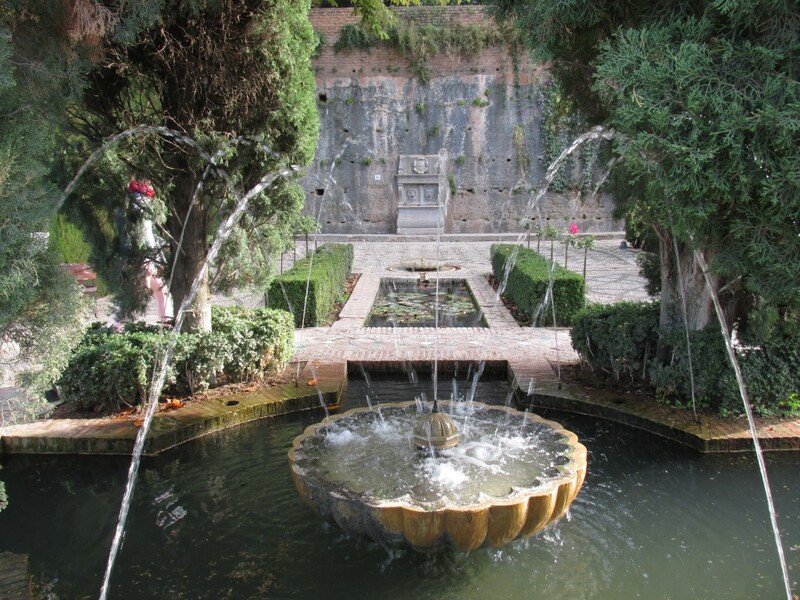 At the palace, there are deications to each of the Spanish provinces. 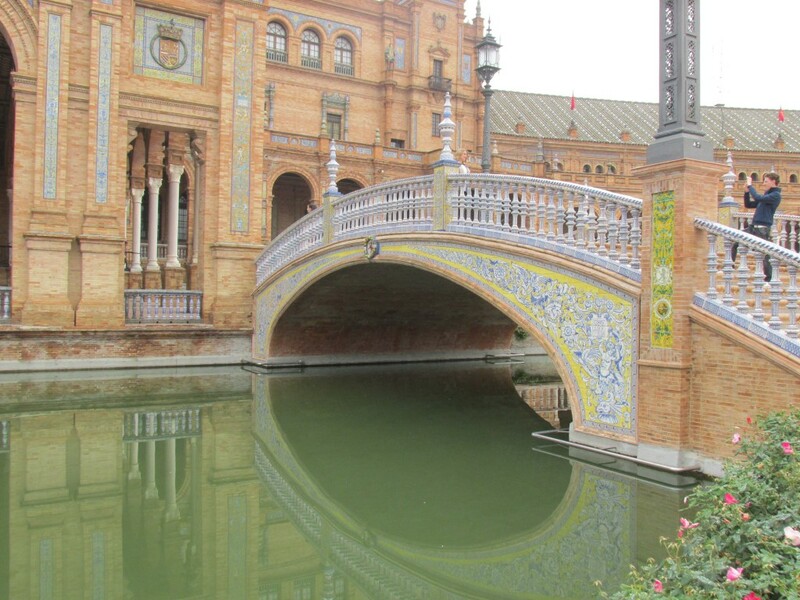 I have loved the trips that my program has coordinated whether they be quick day trips or overnight stays like Seville. It’s so nice to travel with a knowledgeable plan of action. And… I guess traveling with 40 friends isn’t too rough, either. Upon arriving in Alicante, I was greeted by more family members here for a visit! This time my dad and step mom. They, too, came over for a meal at my host family’s home and again I was overjoyed by the words and actions by both of my families.This time during our meal, a little more than last, I was a translator.. .and wow you don’t know the difficulty of switching between two languages until you do it for more than a few minutes. We all talked briefly about my return to the States which made my dad and step mom very excited, but my host mom and sister so sad to think about. It’s truly amazing how strangers can become family in such a short amount of time. Come Monday I was back to the school routine. Meanwhile, my parents were off to visit a few other Spanish cities and my whole world transferred back to speaking Spanish. I’m thankful now, for a few calm weeks of school work before the rush of final projects and papers and exams to come amongst the getting ready to leave and enjoying my last days in Spain. I can’t help but be honest in saying that I’m getting anxious about returning to Hope College. With registration having just passed, planning for Holidays in the States, and recently receiving a housing placement on campus, there is so much to think about back at home. But then again, thinking about pulling my suitcase out from underneath my bed and packing my Spanish adventures away and leaving my host family and friends is even harder. Or to think that I can’t sit in my bed while writing or doing homework- listening to my host sister and cousin sing old American songs in their silly Spanish accents, as I am doing now, could literally bring me to tears. This time is flying by and it’s almost impossible to believe that I have just over a month’s time remaing here. I wouldn’t trade a single second for a thing. 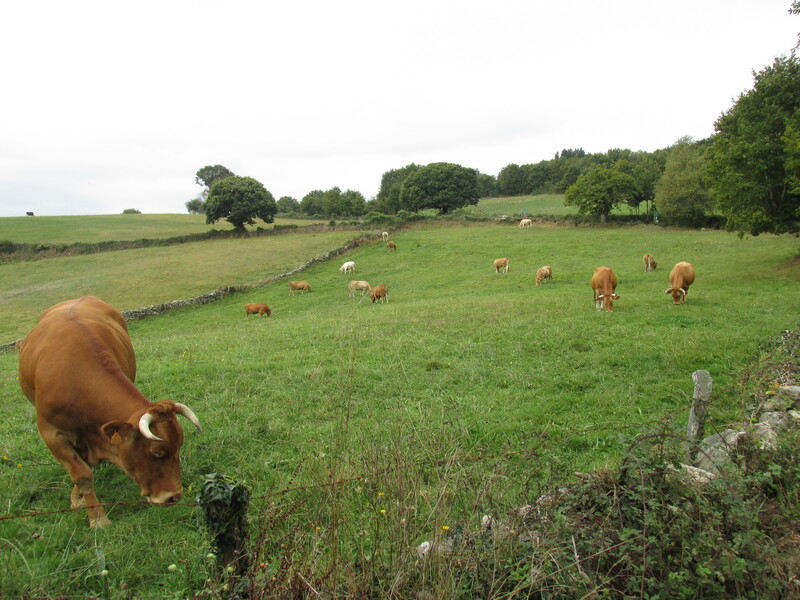 After spending time in the northern part of Spain during the Camino de Santiago at the beginning of October, and a full week of midterms at the end, it was time to visit the southern part of the country. 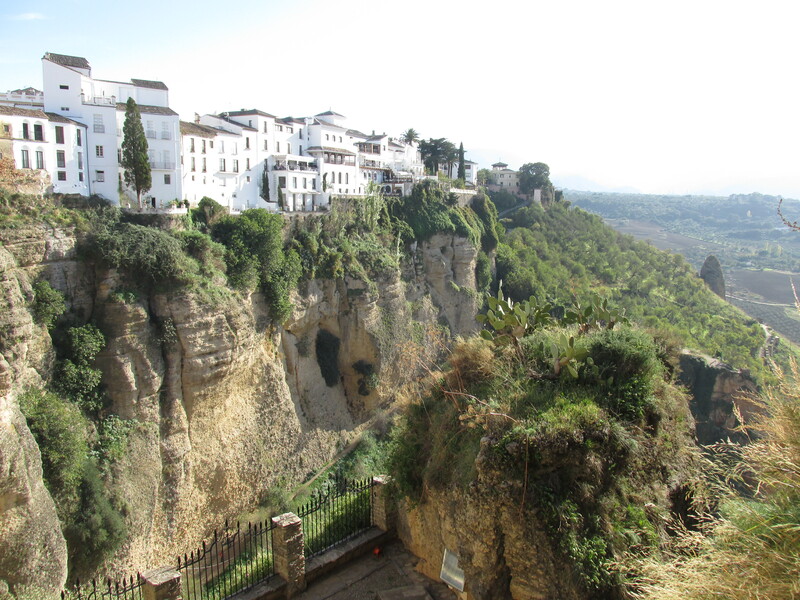 Last weekend, myself, a friend and her parents, who were here visiting, took a trip down to Ronda and Granada. We rented a car and drove!! It was a little nerve-racking driving in a different country, but all went seamlessly. The four of us left Alicante around noon on Thursday and we drove for 6 hours! Two of which were in the Sierra Nevada mountain range. How beautiful that was! 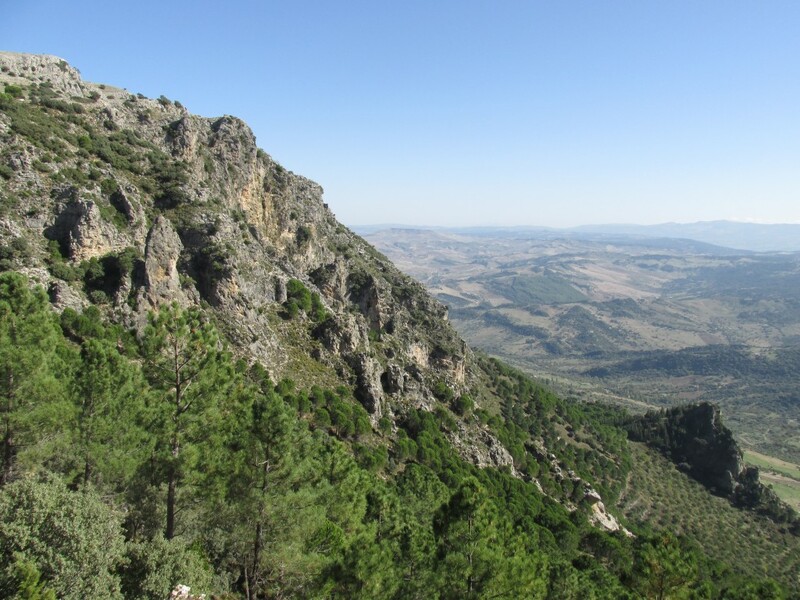 We spent our first two nights at a rural little hotel in Ronda owned and operated by a woman and her husband. They cooked us dinner upon our arrival and gave us all the tips and hints for having the greatest weekend. Friday morning we were off to visit 3 of 27 “white towns,” in the mountain range. These towns are simply called “white towns,” because that’s what they are! Tiny little pueblos with white-wash walls, one way cobblestone streets, a single grocery store and a population total ranging from 500 – 1,500. We quite literally climbed a mountain in a rental car! But the views were absolutely spectacular and the little towns were so fun to visit. 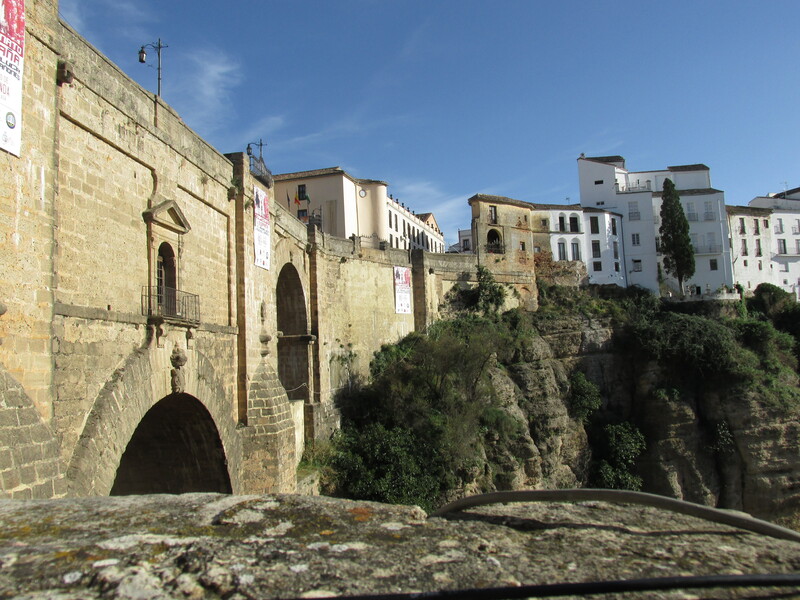 We then made it to Ronda, another white town, but the capital of all 27 and population of 40,000. 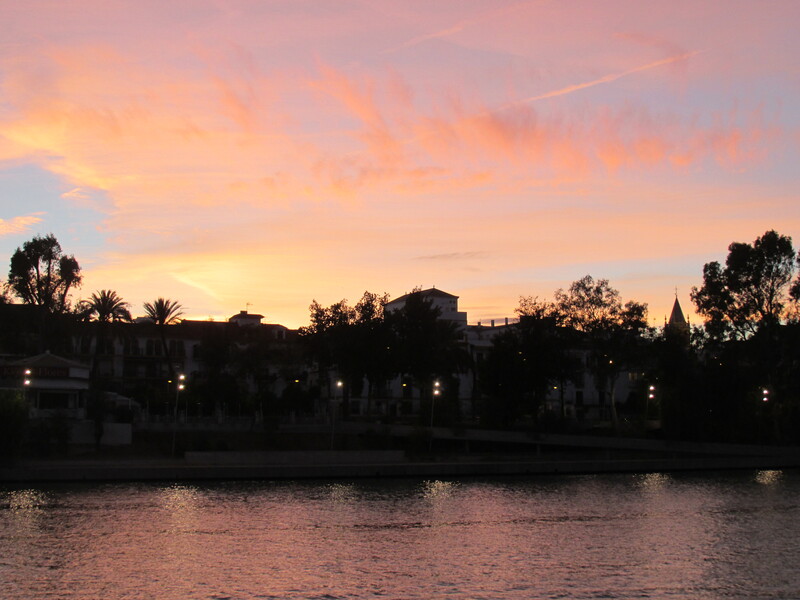 We walked the whole city (old and new), enjoyed a beautiful sunset and watched a Flamenco show later that evening. 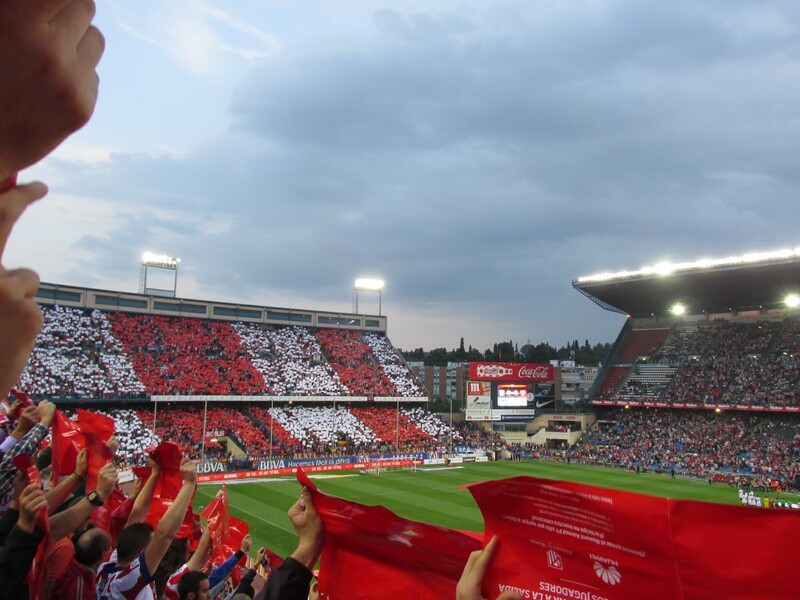 Come Saturday morning, and we were off to Granada! Two and a half hours of driving later, we made it! We walked the city, enjoyed the beautiful views, shopped, and had a fondue dinner overlooking the Alhambra! Come Sunday we actually visited the Alhambra. First we walked the gardens, then the old city ruin areas and towers, and finished the visit with a tour through the palace. 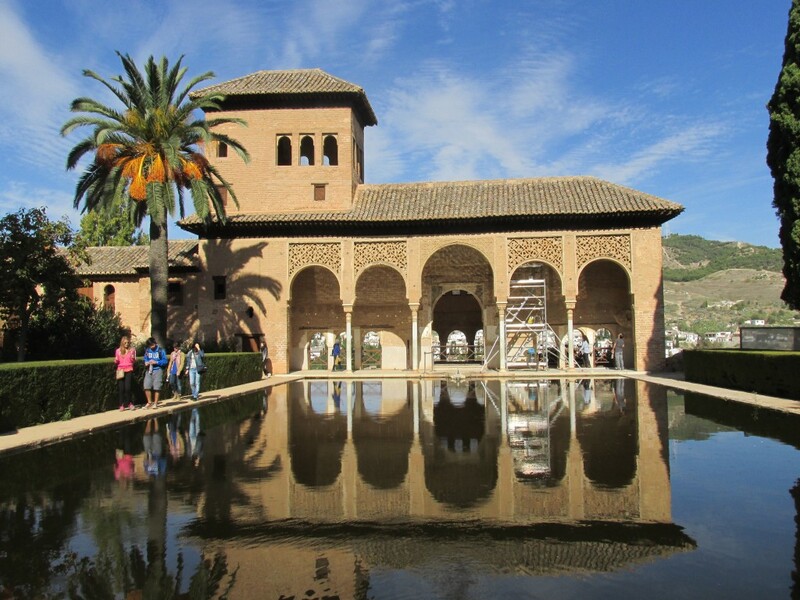 The rich history of the town and the city among the Alhambra, itself, are enough to spend hours upon hours learning more and more. Perhaps the most rewarding part of the trip was noticing how much my Spanish has improved and how much I am able to communicate in another language. This quite possibly came from spending the weekend with two adults who weren’t able to do so, but asking for directions or simply sharing a conversation with a local came surprisingly easy. It’s amazing how much a second language can do for you. And noticing something like that is truly remarkable. Even if my accent is horrid and I make numerous mistakes. Another weekend trip in the books and I can’t help but to also be thankful for such comforting hospitality provided by a family that is not my own. Up next: yet another program led weekend trip, and a visit from more family! I cannot believe that my time here is more than half way through! Time is flying by! I’ve now spent three full weekends stationary in Alicante! And for those days I am incredibly thankful. 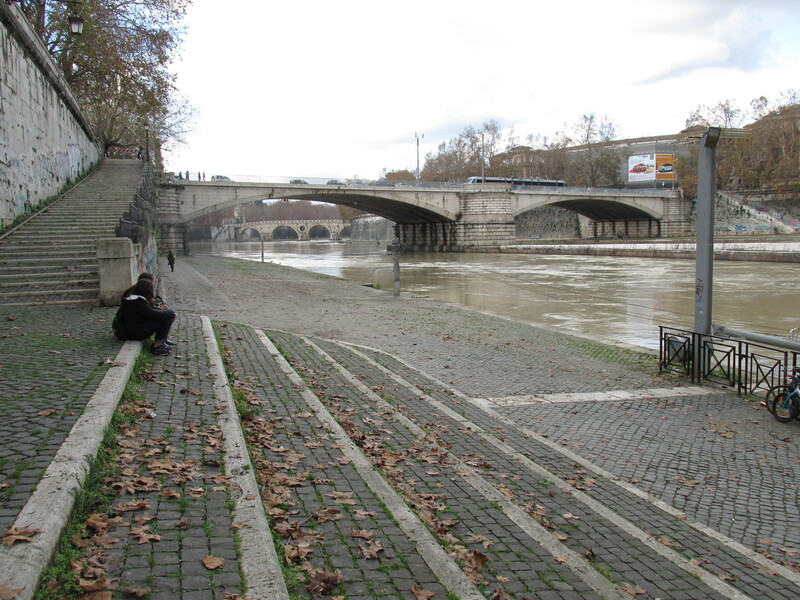 The first I spent recuperating from El Camino de Santiago, the second, a bit more rest for my aching foot and some quality time in the city, and the third more rest from a cold that has been going around my house! I’d secretly hoped that I wouldn’t get sick while being here in Spain, but I’m only human and things spread quickly! Either way, I’m glad to have spent some quality time here with my host family, and truly just relax. These weekends could not have come at a better time. Despite all of this “down time”, I’ve managed to do some pretty awesome things! 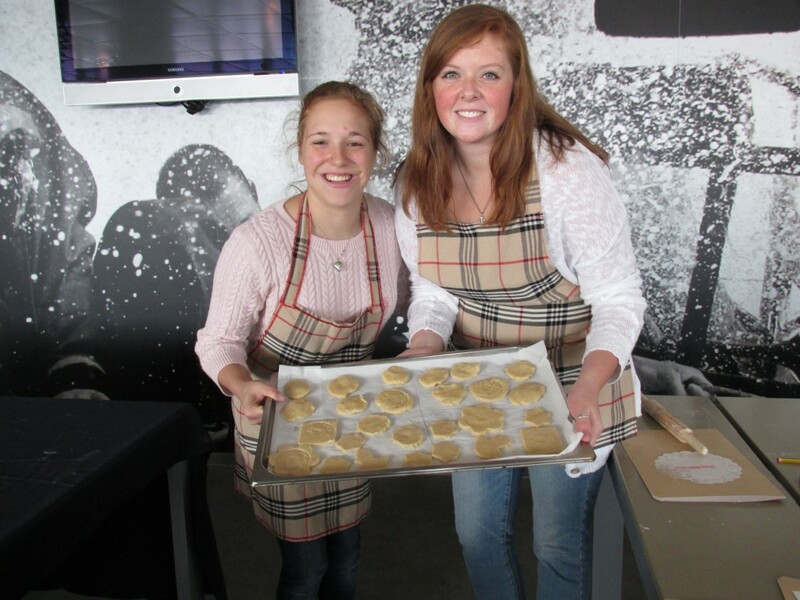 This past week I began volunteering alongside three other classmates. Together we are teaching English to a group of 16 adults! We are responsible for the lesson plans, class preparation and management, teaching and all. We are even responsible for opening and closing down the city center building when class is done. Talk about trust! Admittedly, I was a bit nervous about this and after our first lesson, I still was. I am not an education major, nor do I think I am capable of teaching English grammar, but after our second lesson, those nerves were at ease. This bunch of adults is so eager to learn and it’s so cool to watch them soak up the material. I’m excited to see how their abilities grow over the next 6 weeks, or so. I’ve also really been enjoying time with friends in my program. 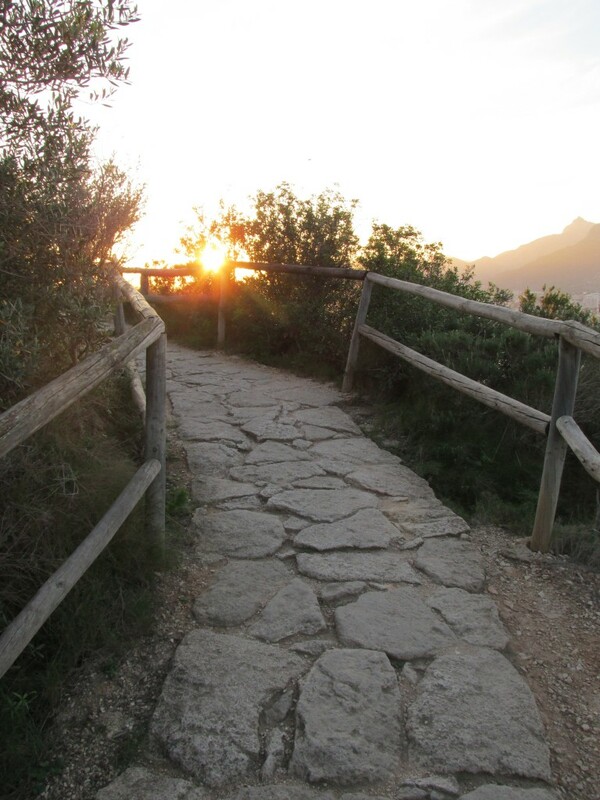 Myself and eight others took an exciting day (more like evening) trip to a nearby town called Calpe. It took a whopping 2 hours including 2 different trams and a bus ride to get there, but the hike up “Ifach” was 100% worth the wait. 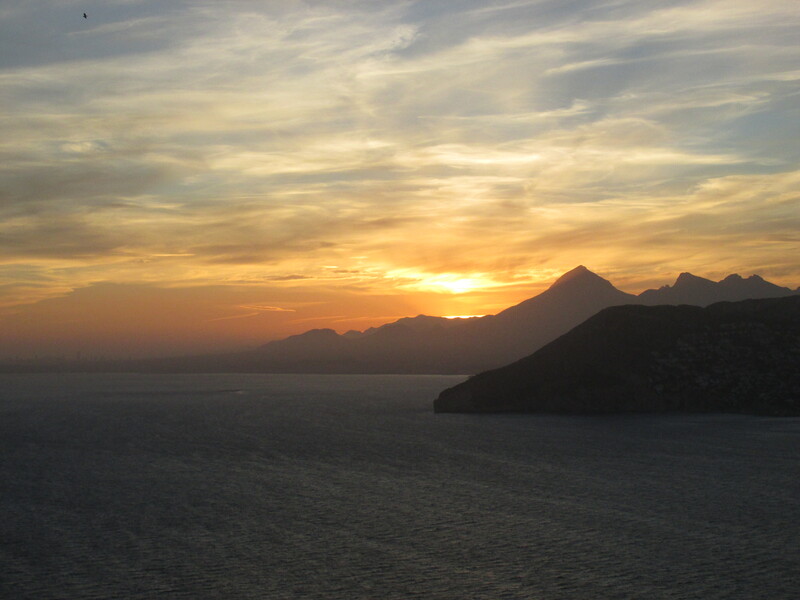 The gorgeous views and sunset over the mountains was absolutely breathtaking! Spain is beautiful! I’ve come to appreciate the time I have here in my “home town,” and for that I am very thankful. Coming up next: Midterms, then a weekend trip to Granada and Ronda! What a fun filled week with great friends, lots of laughs, many blisters, and even more memories! 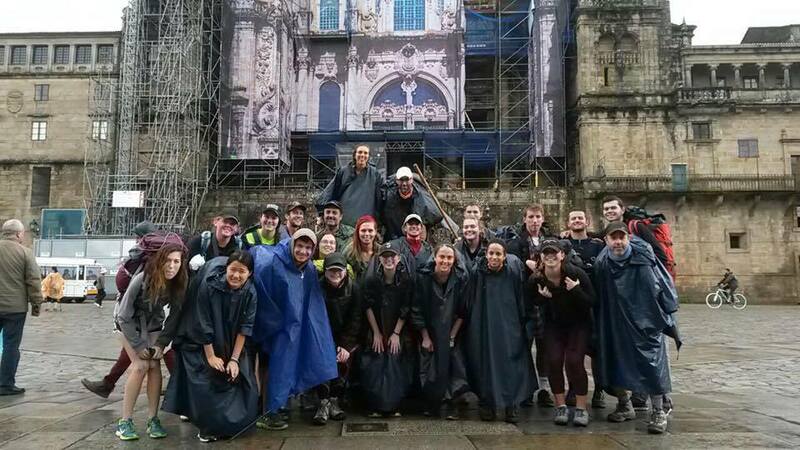 This past week my program had a Fall Break allowing for extended travels and also an opportunity to walk the last five days of the Camino de Santiago (The Way of Saint James), from Sarria to Santiago de Compostela, Spain. I scooped up this opportunity and was thrilled to be able to spend a whole week with other students in my program, getting to know them better and walk alongside each of them. El Camino de Santiago is a pilgrimage with many different starting points all with final destination at the cathedral in Santiago de Compostela where the remains of Saint James are believed to be buried. The pilgrimage is most commonly done for religious and spiritual purposes, but also is completed for sport and for cultural experiences. Pre- 1980’s the pilgrimage was often completed by order of a church official, but in the 80’s, a priest named Elias Valina Sampedro, modernized the Way of Saint James and he, himself along with a few others, painted the yellow arrows with road paint from Leon to Santiago and recreated the Camino. Pilgrims can be seen making their way at all times of the year (most commonly in the Summer). There are hostels, bars and restaurants in every small Camino town that host pilgrims. 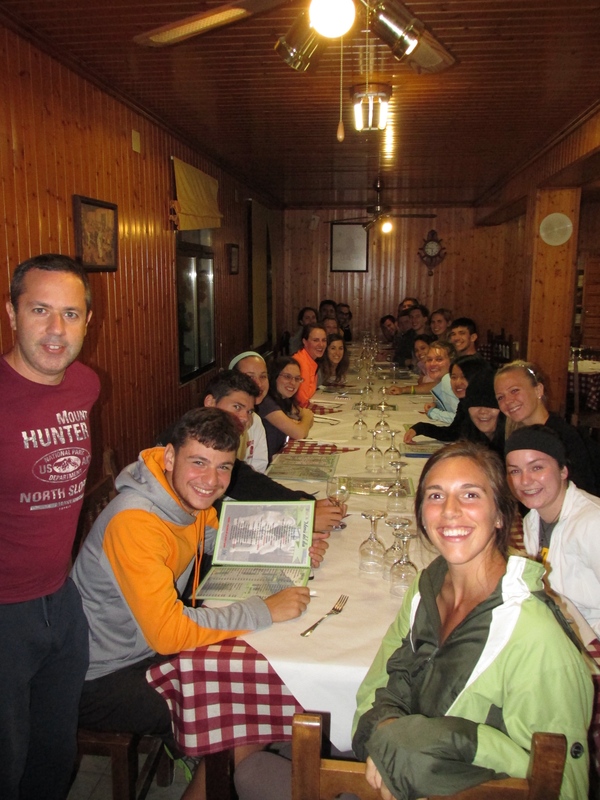 Myself, 21 other students, and 4 professors and program directors arrived in Galicia late Friday night. 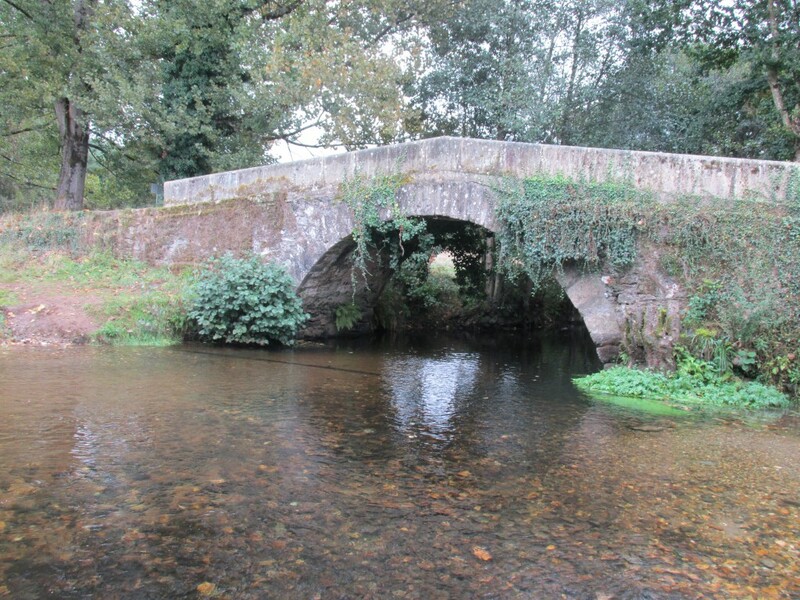 We spent our first night in an Albeurgue (Hostel) and began our walk early Saturday morning. 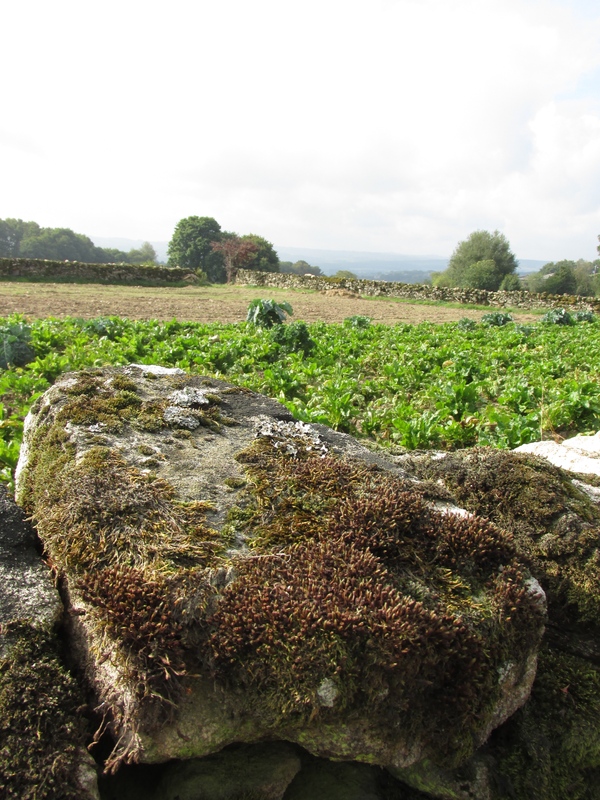 The northern Spanish countryside is too beautiful to describe in words or exemplify through pictures. Truly it was breathtaking. 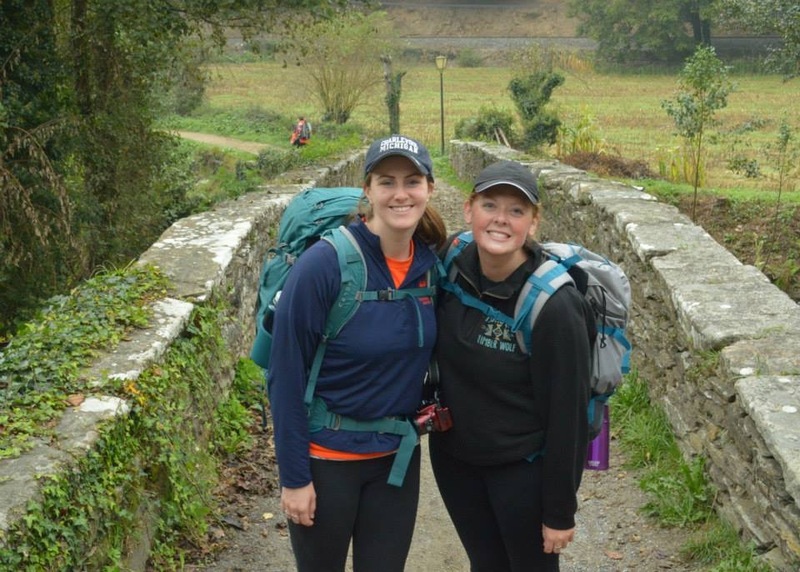 Myself and Kaleigh Mullen, a fellow Hope student as we began the Camino together! Our daily walking schedule meant: Waking up at 7:30, eating breakfast at 8, and walking started by 9 at the latest. We walked for 4-7 hours each day, with one or two meeting spots along the way, arrived at our final destination for the day by 2 or 3pm, had lunch, showered, explored the small towns, played frisbee or card games, we had dinner at 9pm, and lights were out by 11. Typical Camino meals were croissants and toasted bread for breakfast with fresh squeezed orange juice and let’s not forget Cola-Cao (similar to Nesquik). 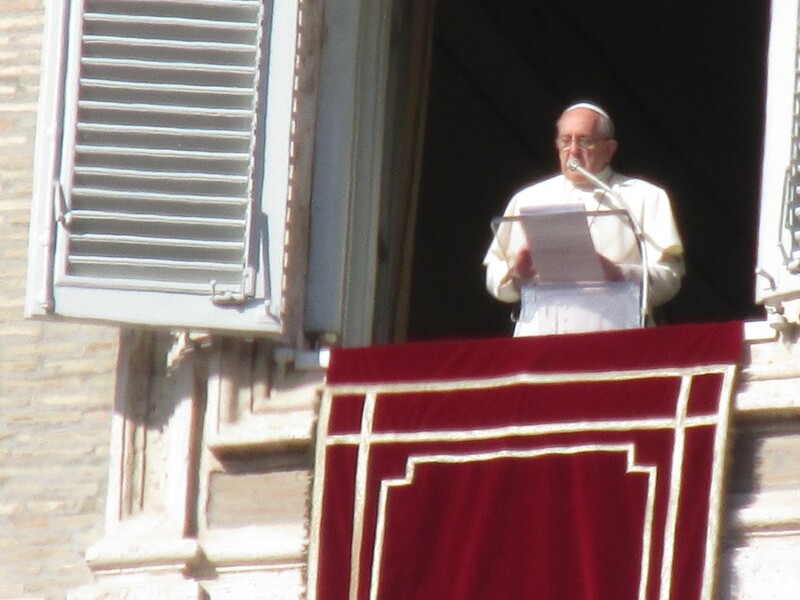 And for lunch and dinner “Menu del Dia,” or “Menu of the day,” which included two courses, usually a salad, vegetable soup or spaghetti for the first plate, and some sort of meat (chicken, beef, pork or fish) for the second. And of course dessert. Tarta de Santiago (Santiago cake) can be found at every restaurant along the Camino. It is just an almond and lemon cake, but so, so good! I would love to be able to say that I completed the Camino alongside my friends, but unfortunately I was one of a few who was not able to. I got on the bus to Galicia knowing that I had had a rough time walking the preceding week (presumably due to city walking and not-so-supportive shoes), but I was determined to walk this Camino! The first two days I walked with very little pain and was thrilled to be doing so well. But it was the beginning of the third day of walking when I had decided to call it quits due to a completely blister covered right foot! Then with both blisters and minor pain in the other foot, I knew it was best to sit out the rest of the Camino. I, along with two others, would take a taxi to the groups final destination spot, welcome them into town when they arrived and spend the entire evening with the group. And even though I wasn’t able to participate fully, I never once regretted getting on the bus. The relationships built and memories made were far more valuable than walking through the beautiful countryside in pain (and rain! ), just to say that I could. The group triumphed their way to the Cathedral after their 5th day of walking and, wow was it so fun to watch them come into town after 110 kilometers of “camino-ing” (68.5 miles). We spent Wednesday evening and Thursday in the city of Santiago before hopping back on the bus to arrive in Alicante early Friday morning. 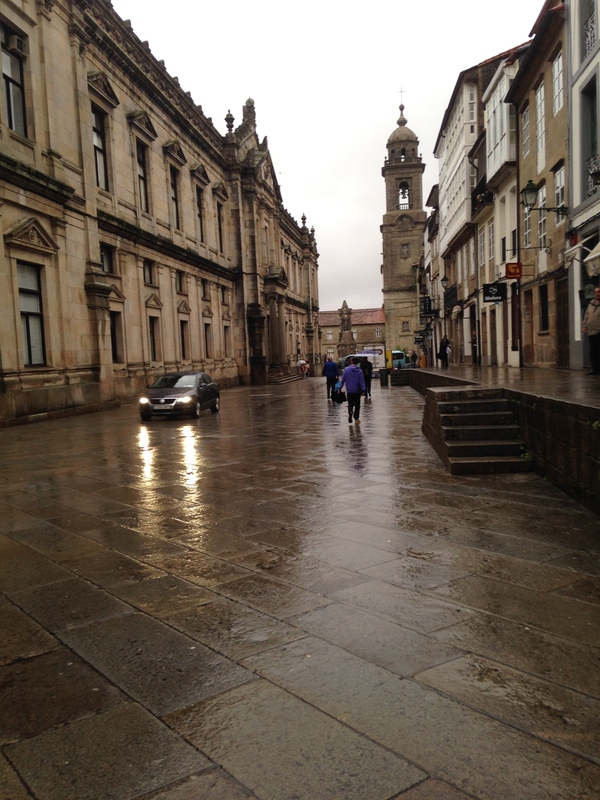 Rain or Shine, Santiago and its rich history and beautiful architecture could not disappoint. After a quick, Friday morning nap, I was so excited to see and chat with my host family once again. I had dedicated my weekend to my bed and the couch to better my aching foot, but I’m thrilled to be back home and in the presence of my “family.” My host mom’s concern with my foot has just been the sweetest thing! It’s small things like this that make me feel at home and truly loved by another family living on the opposite side of the world. All in all, it was such a rewarding week and I would do it all over in a heartbeat! It may have not gone as exactly as planned, but such is life, no? 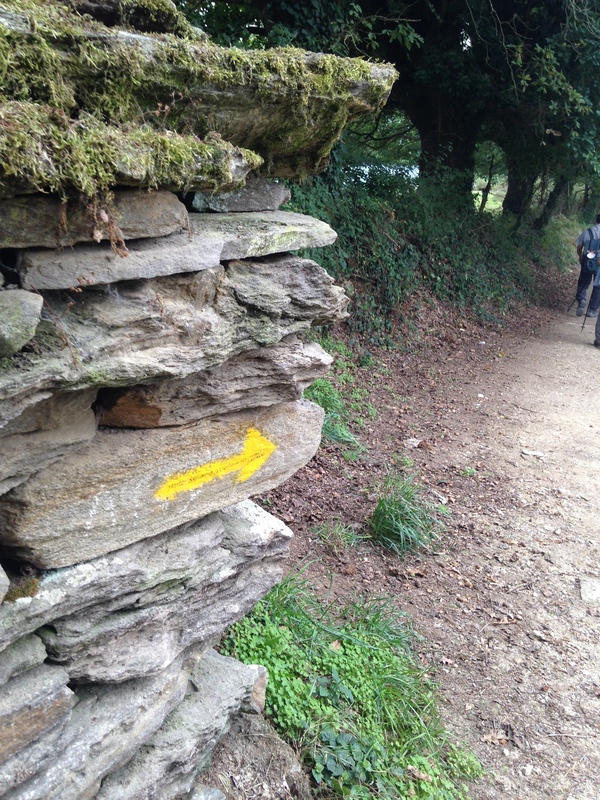 El Camino de Santiago: Check! On to the next week’s experiences. This past week has been such a blast! Like always my Monday and Wednesday class-filled days have been quite long, but I never seem to dread them. I suppose the pure fact that I am able to be in Spain while attending school helps with that aspect. On Thursday, after their week of Northern Spanish adventures, my parents arrived in Alicante for a quick visit! I was so excited to see them and show them around my city. We spent the day touring the city and we climbed the Santa Barbara Castle. That evening my host mom had prepared a typical Spanish meal for my parents so they could come to my home and see how I have been living. It was honestly my favorite part of their trip! So fun to see my two families interact. 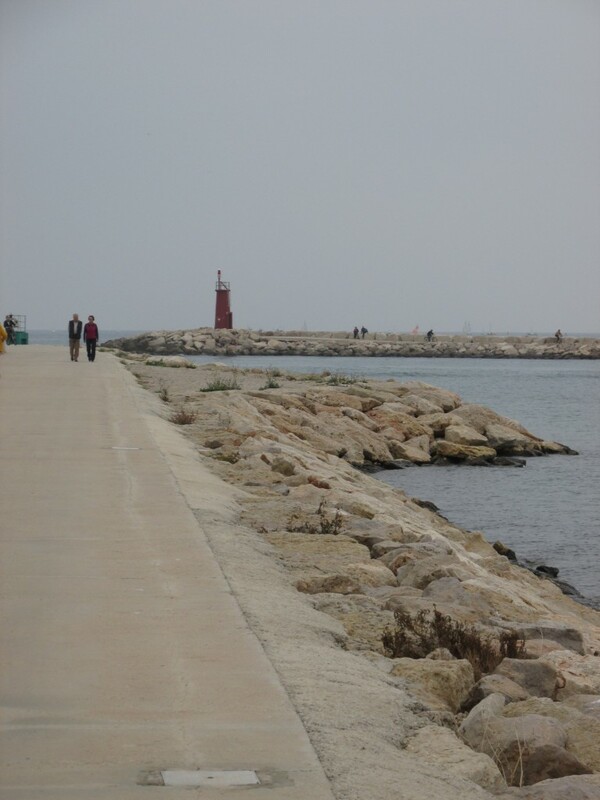 Friday I took them to the CIEE study center and to the University of Alicante so they could see that part of town. It was so, so nice to have a little piece of home visit my new home! Then we were off to Madrid! The capital city was not something that I had any plans to see with friends or my program, so I was thrilled to be able to visit with family. 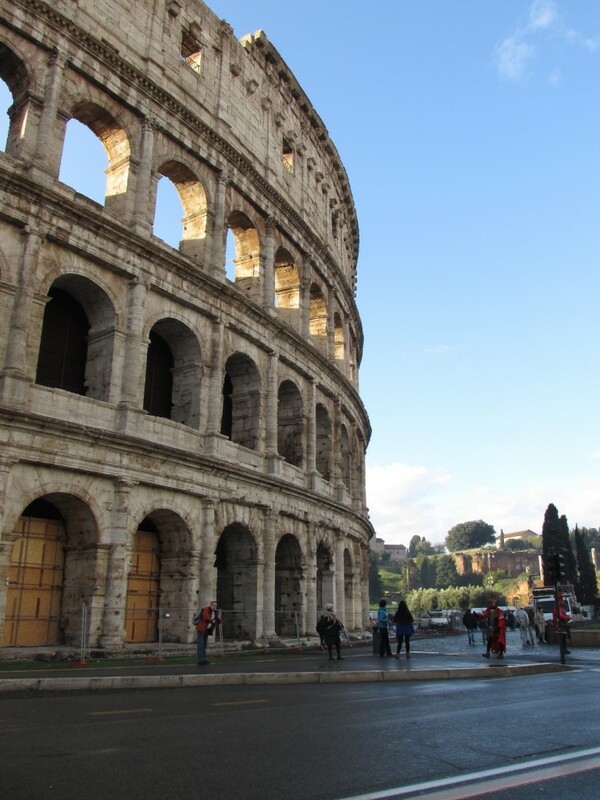 We did lots of touring/ gazing at the beautiful architecture, and we even went to a soccer game! What an experience that was! 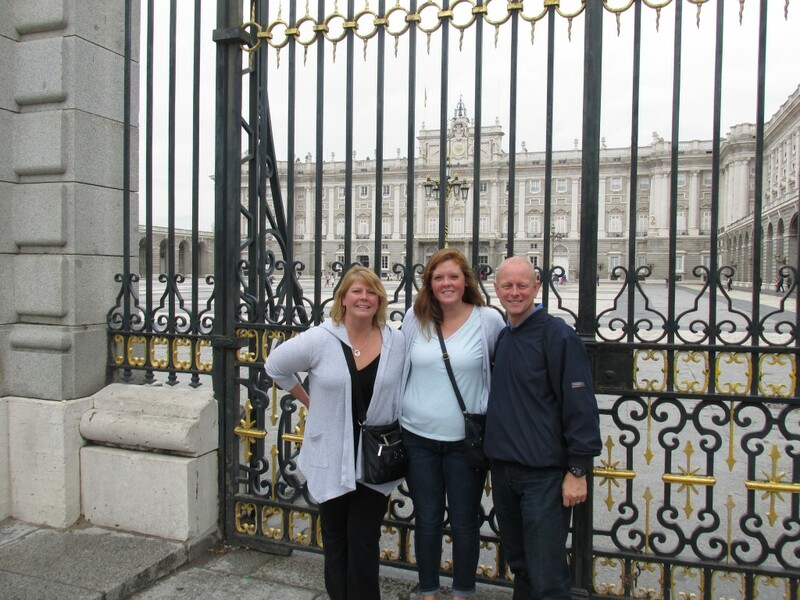 While we were in Madrid, two of my friends from home happened to be in the city as well. I was able to meet up with them for a few minutes and catch up on all Spanish experiences. What a small world we live in! After a quick weekend trip with my parents, I hoped on the train back to Alicante and they flew home the following morning. It was hard to say goodbye to the little piece of home that came for a visit, but I was reminded of how awesome this experience I’m living- is, right now. 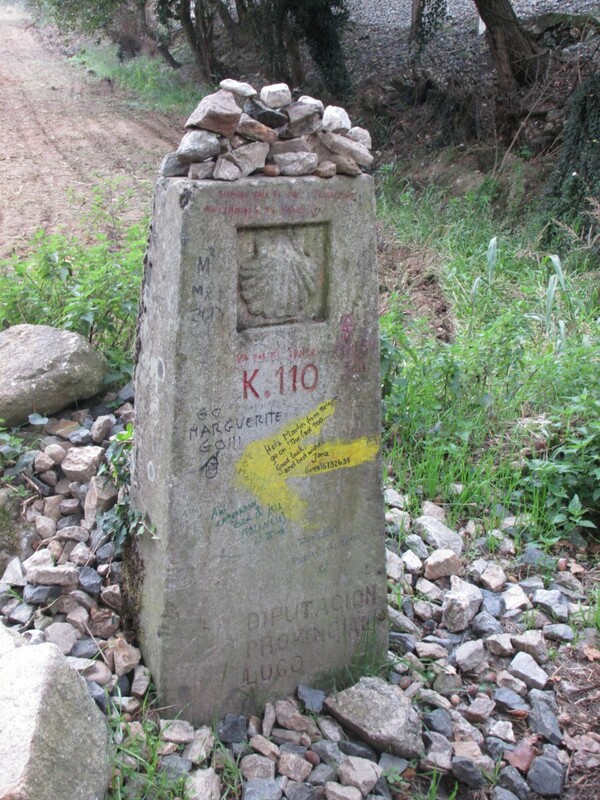 This coming week I have a Fall Break and with my program I am going on the last 5 days worth of the Camino de Santiago! I am so excited to visit the Northern part of Spain and spend the week getting to know my fellow students better. Hello all! It has officially been a month since I’ve landed in Spain and moved in with my host family. I cannot believe how quickly time is flying by- and that I only have 3 months left in this beautiful country. The week before my program’s normal class load began, we had a few days of adventure in the province of Alicante. 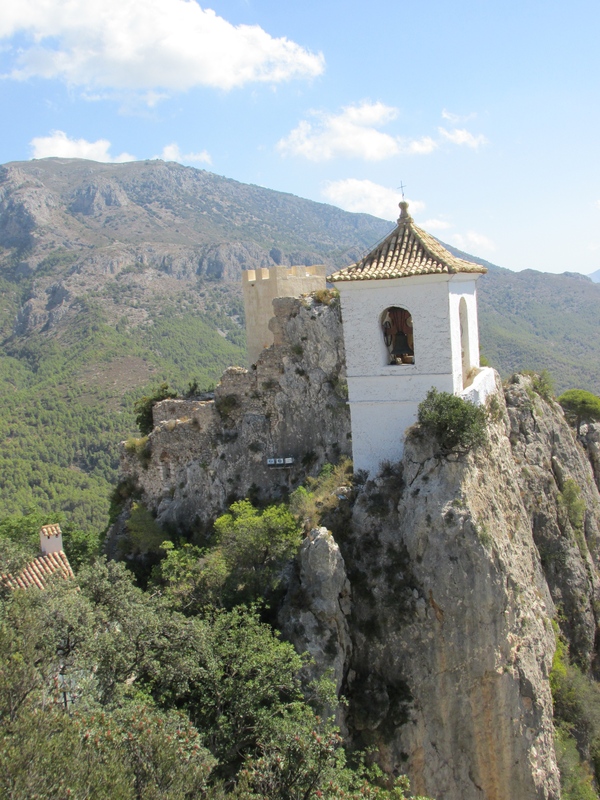 We visited a small castle town called Guadalest. 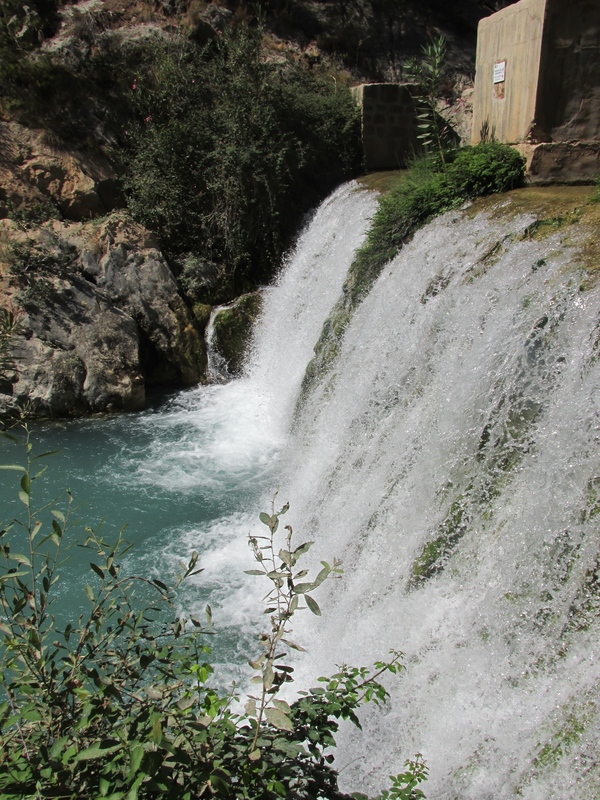 Then- in a small town just a half hour drive from Guadalest we went to a natural waterfall park. 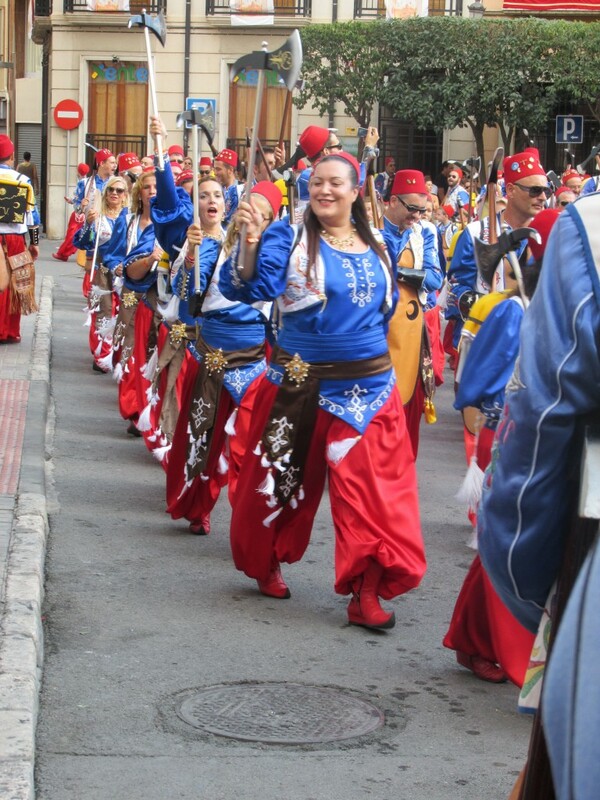 The following day, we visited a neighboring city called Villena as the town’s annual “Moors and Christians” festival was coming to a close. After a week of adventure my full class load began. I can’t complain too much as my schedule has worked out to consist only of classes on Monday’s and Wednesdays. Those make for long 8+ hour days of class and homework filled Tuesdays, but all is well! I’m even taking a course at the University of Alicante and have met a handful of Spanish students. Weekend trips have become quite the highlight of my trip thus far. Two weekends ago I traveled with four friends to Barcelona. We did all of the normal touristy stuff and even spent the day kayaking along the coast on Saturday. 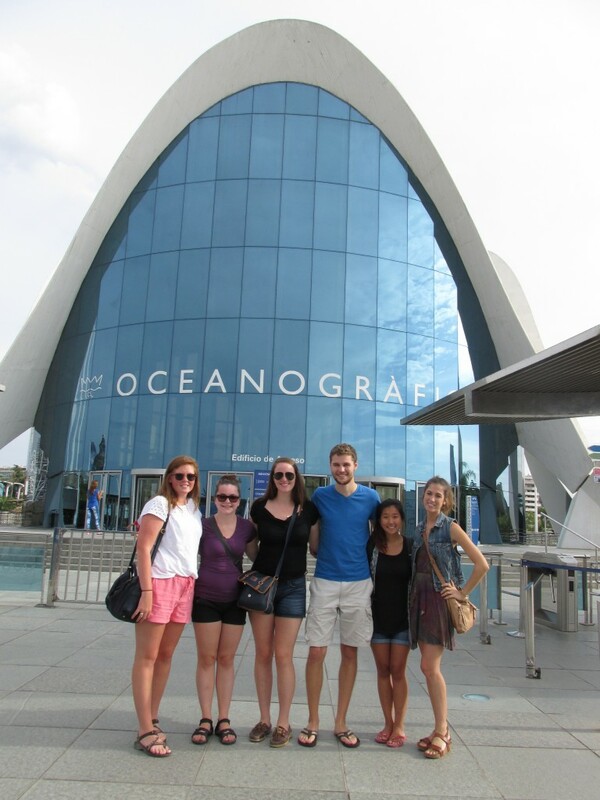 This past weekend, my program offered a quick one night visit to Valencia.We explored the older area of the city, climbed the Cathedral’s spiral tower, and finished our trip in the modern area of town at the Oceanogràfic at La Ciudad de Las Artes y Las Ciencias. The Sunday following our trip to Valencia my host mom and I spent the day in her home town! It was such a fun day! 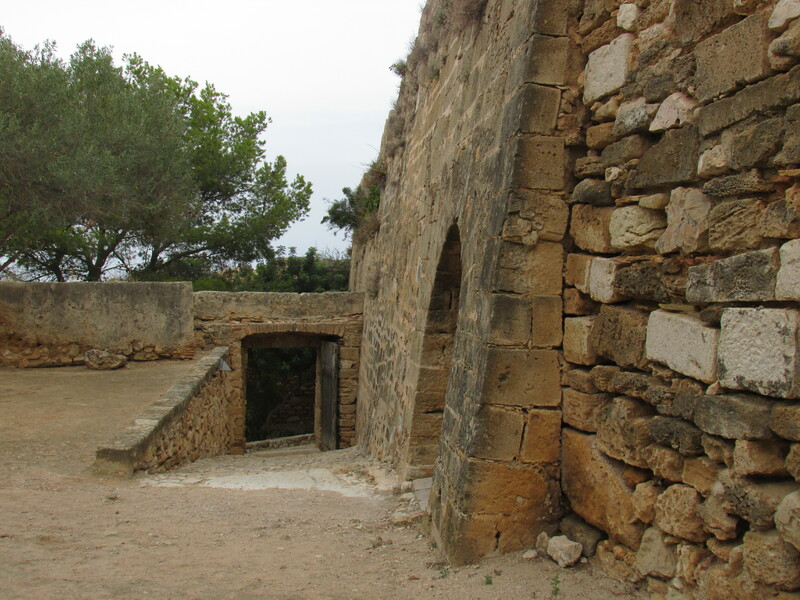 We climbed the castle, visited the treasure museum, visited with her family and she took me to the church she was married in and there just to happened to be a paella (typical Spanish meal) “cook-off” going on. 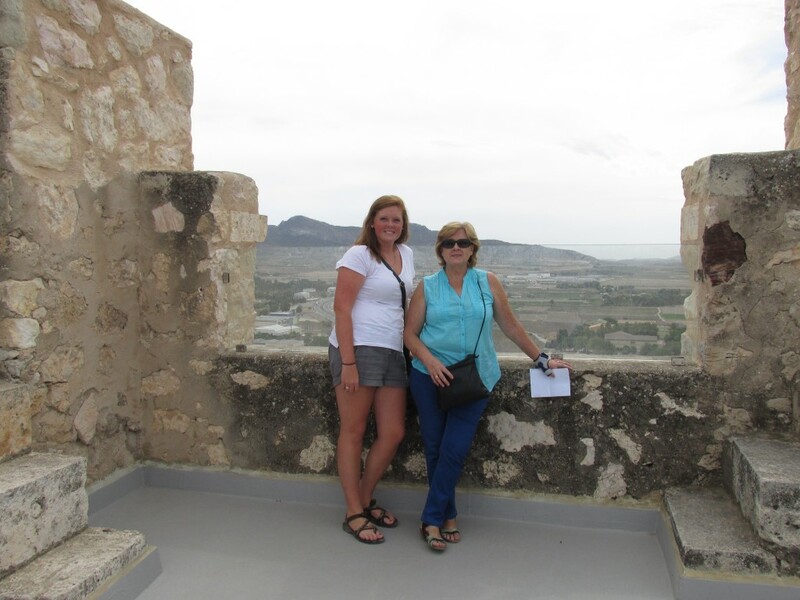 My host mom, Celia and I at the top of the Villena castle. The experiences continue and they haven’t slowed down! The language is getting easier by the day, and the memories are flooding. I’m amazed by all that I have seen and done, and even more so amazed to be able to do so while a student at Hope College! I’m here! I made it! And it has been just over a week since I moved in with my host family. 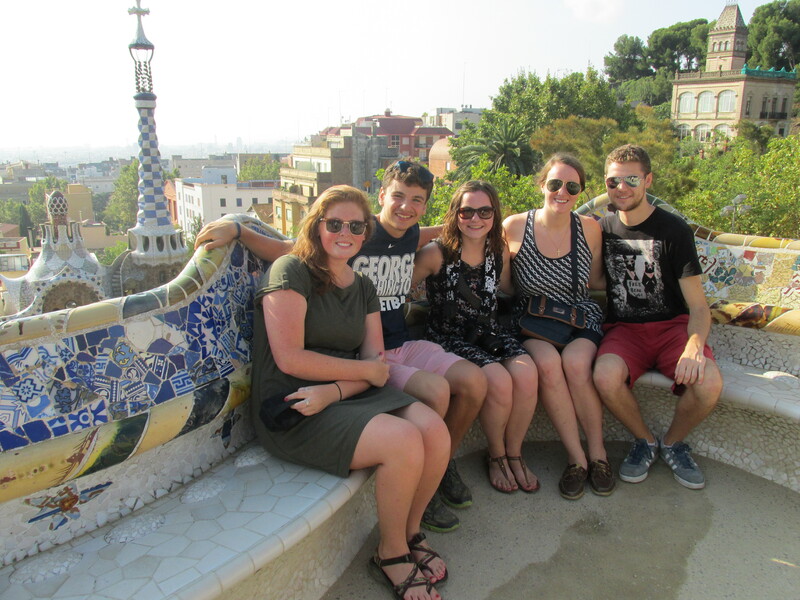 I am a participant in the CIEE- Liberal Arts program and here in Alicante, so my fellow program participants and I attended a three-day orientation before moving in with our families. Orientation was just that. An orientation. We were introduced to Spanish culture, learned all we needed to know about living with a host family, traveling within Spain and Europe, and what our classes would be and look like. I’m thankful for those three days to acclimate myself to the time change and to meet friends in my program before moving in with my host family. 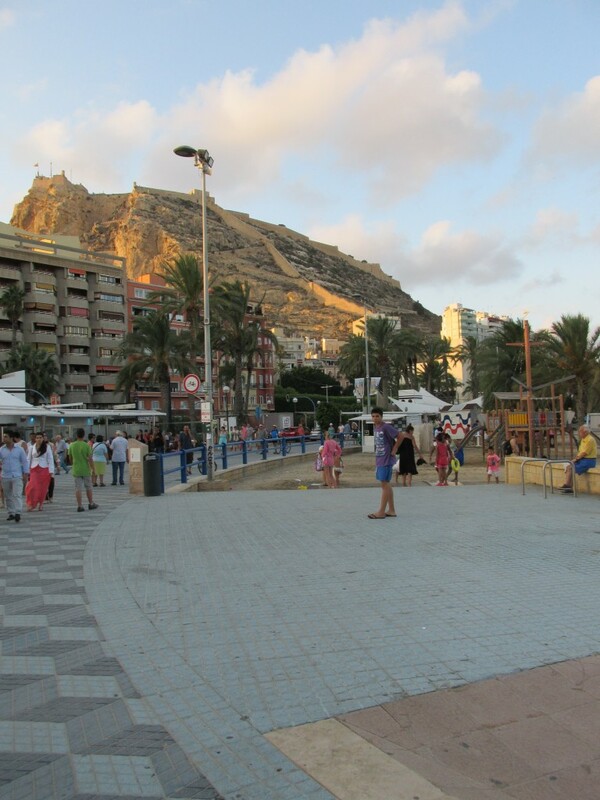 The beach in Alicante, and the Santa Barbara Castle that overlooks the sea. I have now had classes for a whole week and I’m working on the second! I’m enrolled in a two-week, intensive language course before my regular class load that starts next week. I’d be lying if I said living and learning in a country of a foreign language was a breeze, but it’s also just the beginning of my adventure and I can already sense improvement in my Spanish. On Tuesday my CIEE program took a hike up to the top of the castle. It was hot! But totally worth the views of the city and sea. We conveniently made it just in time for the sunset over the mountains. 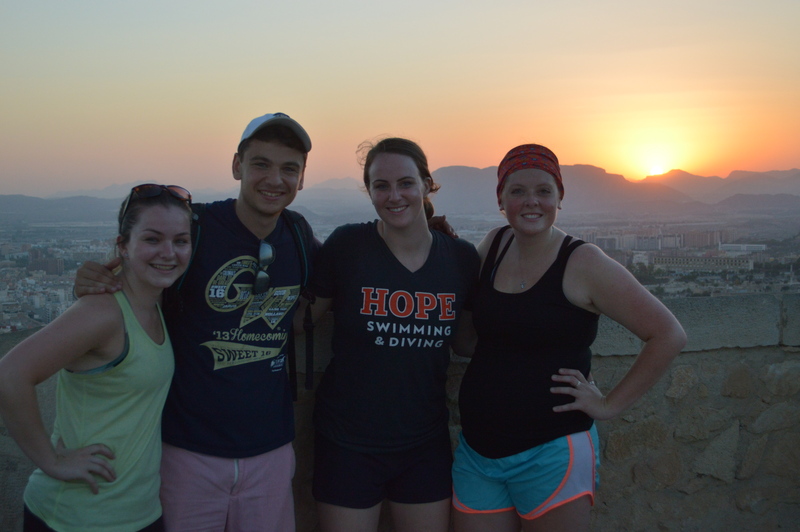 As the days are flying past, I cannot help but be thankful for this opportunity to spend a semester in Spain. I am already in awe of all that I have seen and learned and I am thrilled to continue doing what I’ve been doing.